Back in April of 2015, Google announced a new service offering for people looking for a new way to do cellular service. 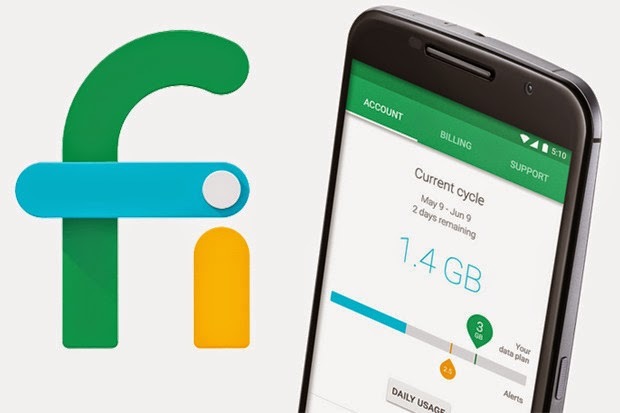 Project Fi was announced as an Early Adopter service that would combine access to Sprint, T-Mobile, and WiFi networks to create a "new way to deliver a fast, easy wireless experience..." (https://fi.google.com/about/). This offering provided users with much lower pricing, much better Wi-Fi coverage, and a financial credit for any unused data. Essentially, using Project Fi can help users lower everything, from costs to cellular data usage. But what is troubling is the expectation that Project Fi is a full blown carrier. It is not. It is an MVNO, or mobile virtual network operator, which means they piggyback off of other carrier towers. More importantly, it should be understood by anyone coming into Project Fi, that it is still a work in progress, as indicated, not only by the name including the word project, but also as it references Early Access (https://fi.google.com/about/faq/#switching-to-project-fi-1). What many do not understand is what Early Access means. Early access is a common technology industry term to mean paid Alpha testing. This is a model where cutting edge users decide to help a service or program find the issues, find the bugs, provide feedback and essentially help perfect the product offering. It is with this information in mind that users should consider whether to switch to Project Fi or wait. Every day the switching algorithms improve, more trusted open Wi-Fi networks are connected and more features of the carriers are added (when possible). So please, when considering Project Fi as your next cellular provider, keep this information in mind before running to the authorities, complaining that you didn't get a free gift, or if you ran into a glitch that took more than a few hours to resolve. Instead, use the proper mechanisms to provide constructive criticism and feedback. This type of constructive feedback will go a long way in improving service, communication, and the overall feeling in our on-line communities. Please use the Project Fi app, the Project Fi Product Forum or the Project Fi Private G+ Community to provide the feedback necessary and we will all find ourselves in a much, much happier place. Note: This is not meant to be any official statement from Project Fi or Google, but rather my personal interpretation of the terms. Been using it for a month and its been pretty awesome. But, what do you do when you use the proper mechanisms to leave feedback and it is ignored, repeatedly? Nothing, I promise, is being ignored, they are taking everything and evaluating how to get it done when appropriate. I've been on Fi for about 2 months. I've had a few issues with restart glitches that erased everything on the phone. That's fine because it is a new beginning and I haven't had any issues since. I contacted support, they were extremely knowledgeable, very friendly and the problem was fixed. With all this said it is important to let the proper channels know of any issues. I believe they took my problem and added some updates that resolved it! I love it.